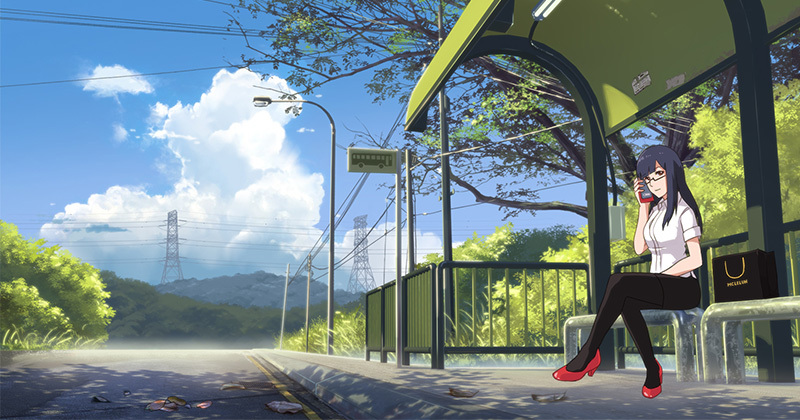 This tutorial will quickly discuss a few important area in painting an anime style background. 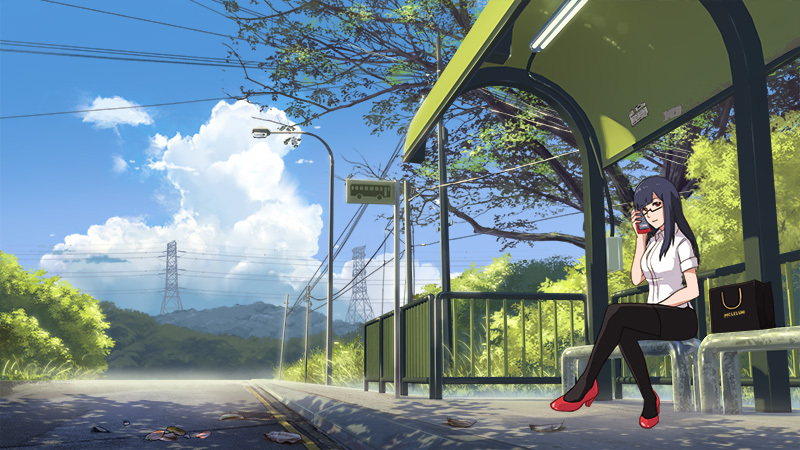 I will be using my anime bus stop artwork as the example for this tutorial. This is the 3D artwork I model and render with Blender3D. 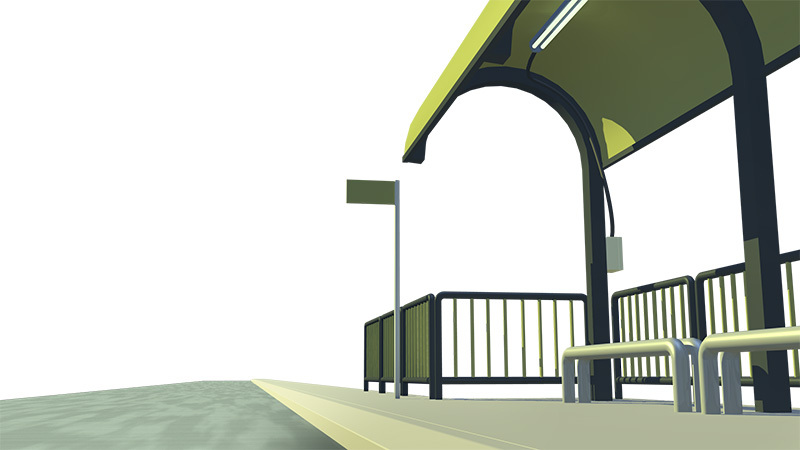 The scene is render with 1 Sun Lamp and 1 hemi Lamp. All object materials in the scene are just using default Lambert diffuse shader. More Tutorial! 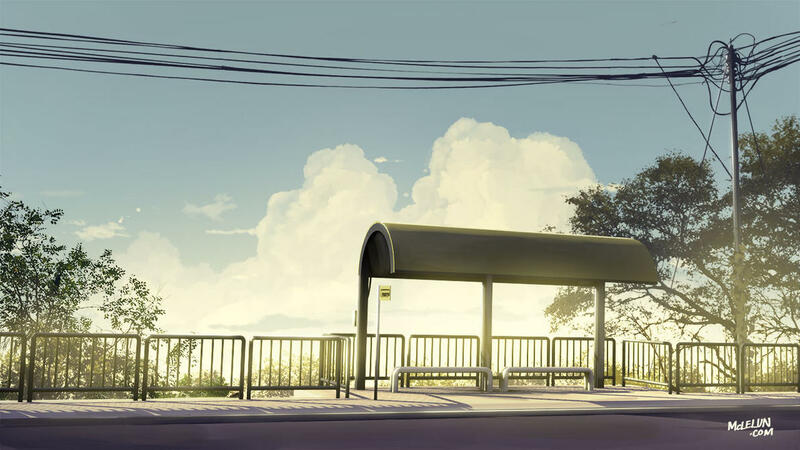 More info on render settings in Blender3D Anime Background Render Settings. 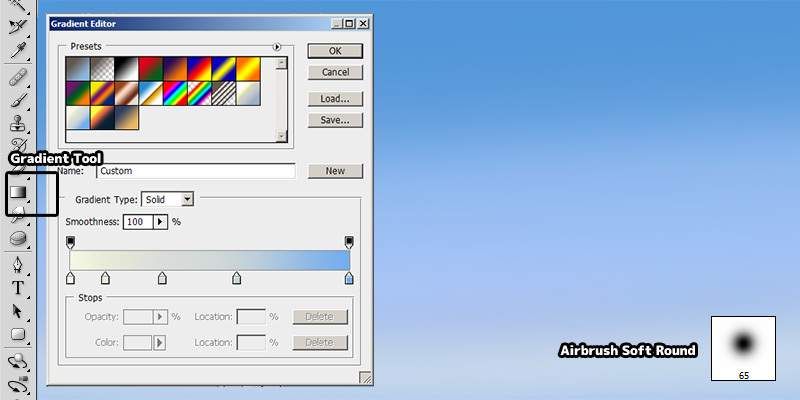 Start painting the sky with a soft edge round brush (air brush) or use the gradient tool. If you can't decide which color to use for sky, try using colour reference from photo. Cloud can be paint with default Photoshop brush. In the following example, I am using a round brush with reduce edge hardness. Use round brush to draw the cloud shape. Scale down brush size, refine and add details to cloud contour. Lock and protect layer transparency and start shading the cloud. Lower down brush opacity and continue to shade the cloud. More Tutorial! 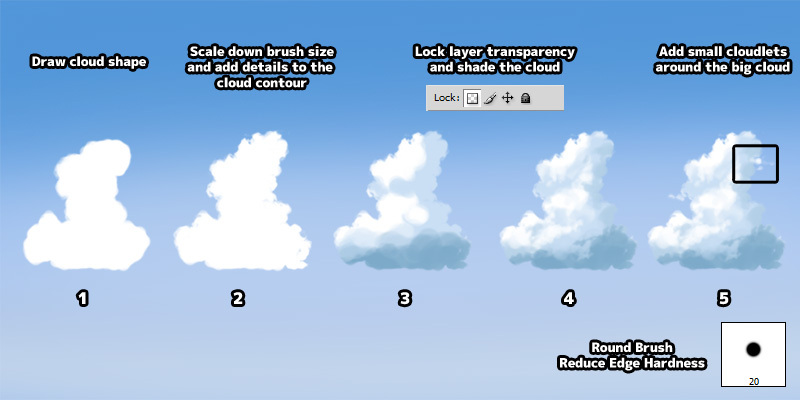 More anime cloud tutorial in detail anime cloud tutorial, quick anime cloud tutorial. 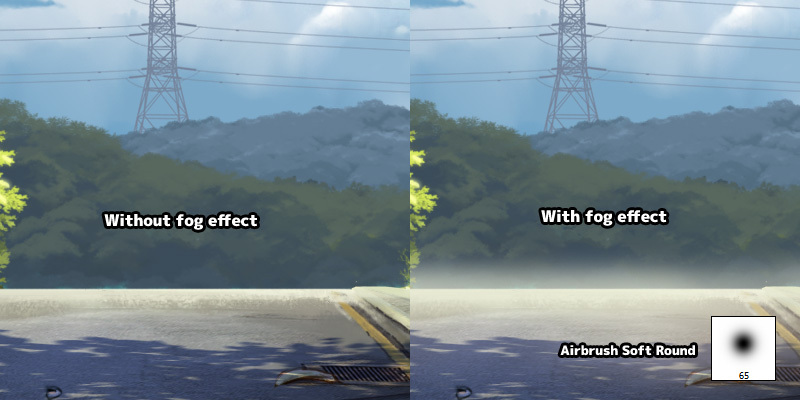 Also look at brush settings for painting anime cloud. 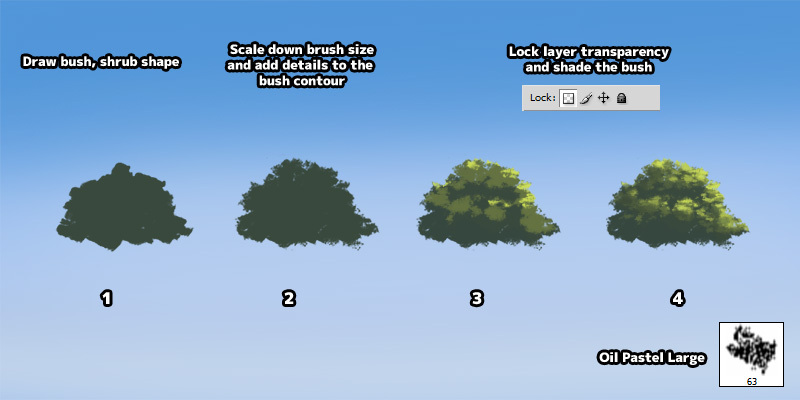 Just like cloud painting, bushes and shrub can be paint with default Photoshop brush. Personally I prefer to use "Oil Pastel Large". Use pastel or chalk brush. Enable "shape dynamic" and "scattering" option. Start painting the contour of the bushes. Scale down brush size, refine and add details to bush contour. Lock and protect layer transparency and start shading the bush. Lower down brush opacity and continue to shade the bush. Paint the highlight specular with smaller brush size. More Tutorial! You can read my updated tutorials on anime tree painting or watch a timelapse video of me painting anime tree. 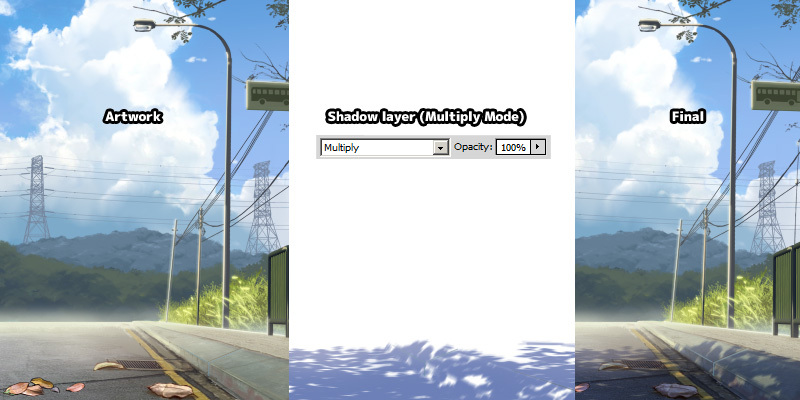 Shadow are usually paint in another layer with blend mode set to "Multiply". Pay attention to ground height and slope when painting shadow. Fog and haze are good atmospheric effect to be include in anime artwork. Add a new layer and start painting area near horizon with soft edge round brush. Blending mode can be leave as "normal". But you can try other mode such as "screen" or "overlay". 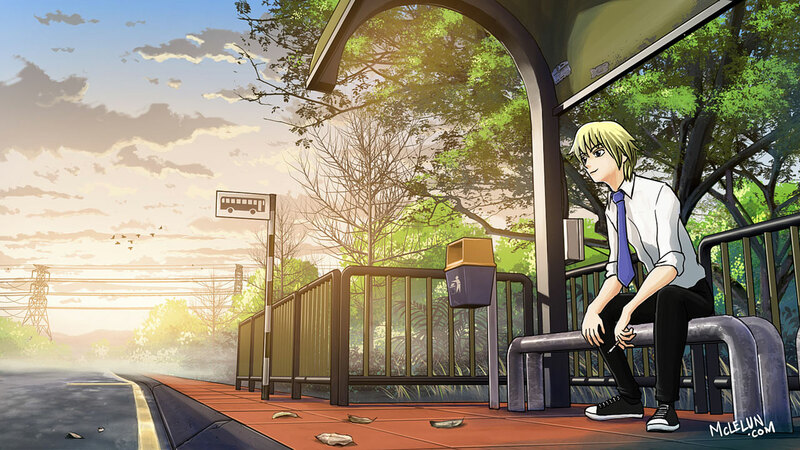 In anime, outline for character are usually more uniform in line width. Dark colours are also use for out lines instead of pure black. 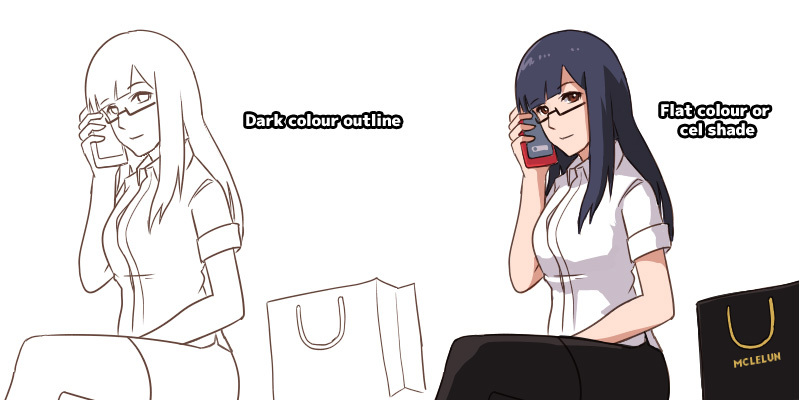 Anime character are also usually in flat colours or cel shade. Image below show the before and after paint over the 3D render using Photoshop. Refresh if images are not loaded. Different version of artwork using the same 3D models.